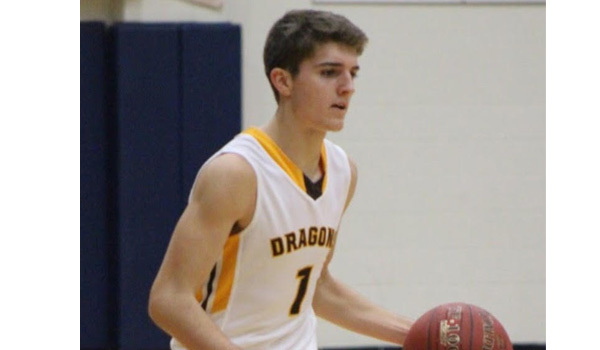 Bo Gooch of Belle Plaine High School, located outside of Wichita, has been one of the top small school basketball players in the state of Kansas since his sophomore year. The 5-foot-11, 160-pound senior has racked up quite the list of accomplishments in his career. He’s a 1,000 points scorer, reaching that mark last season as a junior and has averaged in double figures all four years of high school Gooch averaged 12 points per game as a freshman, 20 points per game as a sophomore and 18 points per game as a junior last season. He’s earned all-state honors in each of the last two seasons from Sports in Kansas. Gooch also had a solid year in football as a senior in which he threw for 1,895 yards with 18 passing touchdowns. He also rushed for 266 more with three scores, earning all-state honorable mention honors. He helped Belle Plaine to a four win season, which hasn't been common for the schools program that has struggled over time. Belle Plaine has also seen a lot of basketball team success as they finished 18-5 one year ago and as a sophomore Gooch helped lead them to a 3A state runner-up finish with a 16-10 record, coming out of nowhere to get a first round upset over Galena, 63-62. They would eventually fall to state champion Marysville in the semifinals and Southeast of Saline in the third place game. Gooch has had multiple opportunities to play basketball at the junior college and NAIA level but currently thinks that he may not play at the next level. He has a perfect 4.0 GPA as a student and his favorite subject is Physics. His plan is to eventually work as a Cyber Security Analyst in the future unless he starts his own business. Currently the Dragons, led by head coach Josh Corbett, are off to a 9-1 mark in 2018-2019. They are in the Chaparral Tournament this week where they will face Mulvane in the opening round. Belle Plaine, who plays in Class 3A, is currently 9-1. They are also ranked #3 in the latest Kansas Basketball Coaches Association Poll (KBCA). We caught up with the senior standout below in the latest Q&A edition of Faces in Kansas. Been playing ever since I was little. My goal this season is to help my team win as many games as possible. We have the talent to make some noise at the end of the year. My shooting ability and decision making. Our gym is usually packed and close games get loud. We play fast and put up a lot of points. We played in a couple of tournaments together and did some shooting practice. I've received from multiple NAIA schools and a couple of JUCOs but I don't plan on playing basketball in college. My favorite subject in school is physics. I'm a 4.0 student.